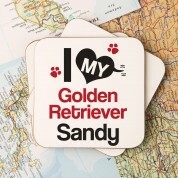 A personalised “I Love My Dog” coaster makes the perfect stocking filler for a dog lover when on a budget. 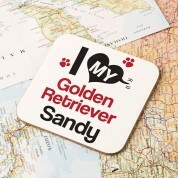 The novelty single coaster features a bright design which reads “I love my...” and the breed of dog. The pet's name is also included making it truly personal. They wont own anything quite like it! It is made complete with a red love heart and paw prints. The owner will love to show it off when entertaining guests. It will sit pride of place on their coffee table and is sure to make them smile every time they see it! 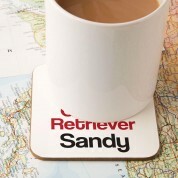 A keepsake with a personal touch for a dog crazy friend or family member.